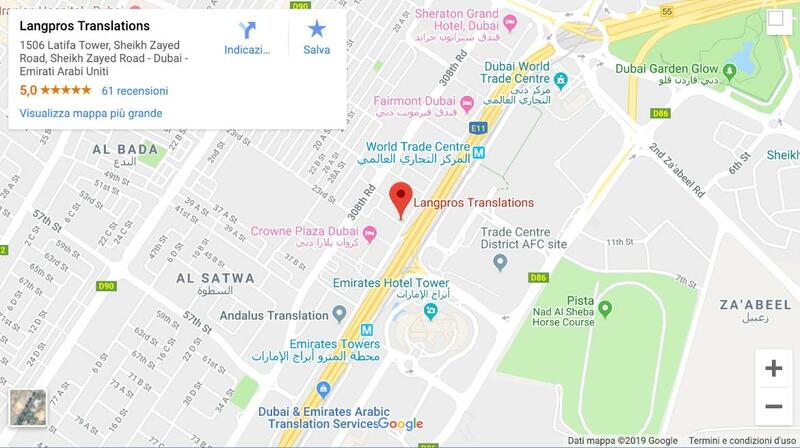 We are a Dubai-based translation agency specialized in high-quality legal, marketing and technical translations, interpretation services with equipment rental, and copywriting services. We have collaborated with world-leading companies and institutions and we are member of international prestigious associations such as GALA and ELIA. The company was founded in 2011 by Italian interpreter and certified translator Matteo Ippoliti. Now it comprises a network of over 2,000 collaborators with expertise in over 100 languages, as well as a decentralized in-house team. Team members are scattered all over the world, allowing us to take advantage of time zone differences and efficiently manage translation and interpretation projects 24/7. in the area of Dubai and Abu Dhabi? Do you need to translate documents for legal purposes? Do you need a certificate attestation? we offer high-quality translations in Dubai. We can translate documents in any technical field: real estate, legal, automotive, engineering, energy, oil and gas, telecommunications, IT, tourism, defense, and many more. Read more about the technical translations. We offer high-quality simultaneous, consecutive and business interpretation services. We can also provide simultaneous interpretation equipment and technical assistance during the event. Read more about our interpretation services. On the occasion of Expo 2020, we are looking forward to assisting you with the translation of any kind of document, from tender documentation and contracts to marketing materials. Read more about our Langpros at Expo 2020. We can provide excellent interpretation services at any kind of event, ranging from exhibitions to press conferences and from large conferences to small and medium-sized events. Read more about types of interpretation services we provide. We are extremely satisfied, they are efficient and the documents were delivered on-time. I would recommend using Language Professional for our client requirements and would recommend their services to all our customers for their fast and quick service. What the Language Professionals did for us was not only simply an accurate translation but also delivered with incredible speed and high-level service. This is the one translation company that I will recommend to all my friends and business associates. Langpros delivered me accurate, good quality translations. I am very pleased with the results of their work and I wouldn’t hesitate to recommend their services to anyone who is looking for a stress free experience & high quality translation services. To set up my new business I had to get the help of Langpros for various translation services, and I must say that they had done a great job of taking the pain of this away from me. Langpros could be the best partner in anything related to translation services. Langpros is one of the highly efficient and professional company lead by Mr. Matteo Ippoliti. They are one of the only few legal translators for Italian Language and we are very comfortable for dealing with them for all our legal as well as business promotion documents. We are immensely pleased to have Langpros as one of our reliable partners for translations and interpretations. Matteo and his team have always been really meticulous, professional and super-efficient in helping whenever we have a requirement. Why Should I Choose Langpros Legal Translation? 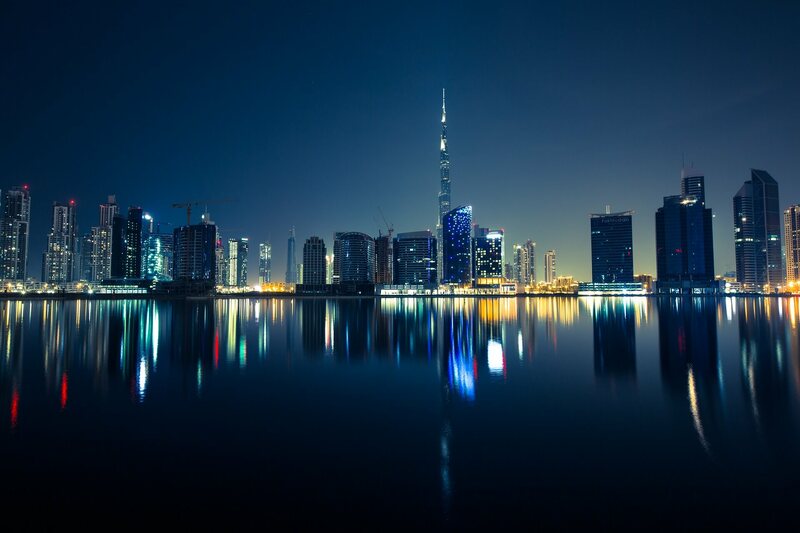 We provide first-class language services in Dubai thanks to our global network of native language sworn translators and to our high quality standards. We manage to stand apart from the competition by quoting our clients low, fixed prices with no extra charge or hidden fee. We will send your official documents to the most suitable translator for the translation project and send materials back to you with perfect timing.